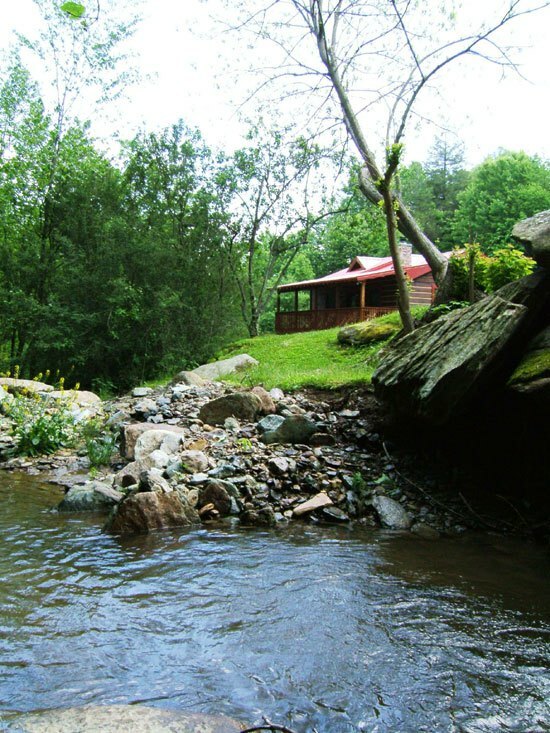 Our first post at Creekside Musings was about the Creek. We sit on our porch and watch the little brook and listen to it babble by. We’ve made the porch into a pretty cool hangout spot. I didn’t want Kim to miss the old lounge area we had on Leap of Faith. We started stacking wood today. This is about 1/4 of the pile we had delivered. The porch runs the length of the house, about 32 feet. It’s 8 feet deep with an additional two feet of overhang. We can sit out here in the rain without getting wet. And of course, we view and listen to the creek all day long. This entry was posted in Uncategorized and tagged Blue Ridge Mountains, Log Cabin Life, Mountain Living, North Carolina on August 7, 2018 by Ed Robinson.